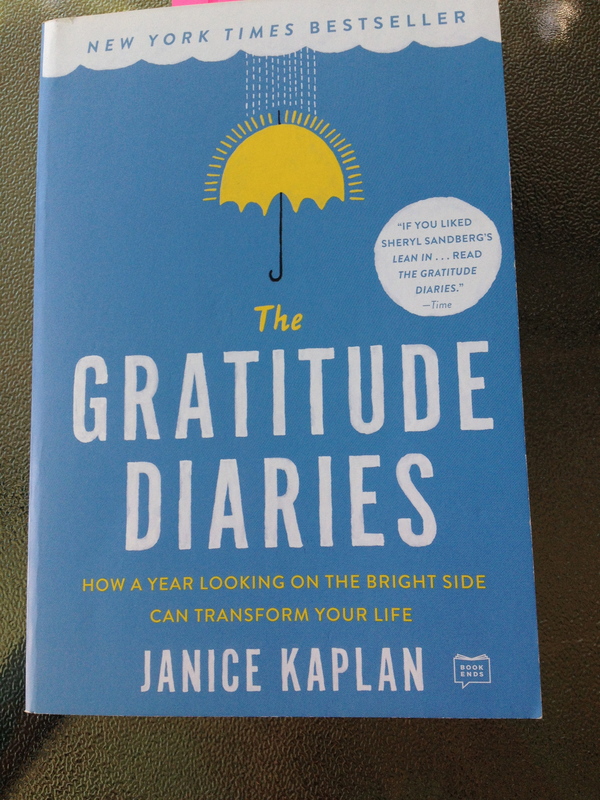 I recently finished reading Janice Kaplan’s The Gratitude Diaries. A friend had suggested it to me after a coworker had recommended it to her. I read the summary on the back, was intrigued but still hesitant. So I checked out a copy from the public library. Soon, though, I found my library copy full of Post-Its. I then went ahead and bought my own copy — a copy in which I could highlight passages and stick as many Post-Its as I wanted. I like to think of myself as a person who regularly appreciates all the blessings in my life, large and small, and everything in between. But still, I found this book helpful, and it made me really stop and think about things from a different perspective. I was also incredibly intrigued when I read about gratitude and its connection to health. And now readers, I’d love to hear one thing for which you’re grateful. If you’d like to share, please do so in the comments section. One friend has advised me to simply say, “thank you,” and then let it go. But there’s a part of me that doesn’t feel comfortable doing that. Saying “thank you” implies I’m accepting a compliment. A compliment I wasn’t looking for, a compliment I’m not even sure I want. I didn’t lose this weight because I started some exercise regimen or went on some new diet. I wasn’t trying to lose weight. I lost weight because I was sick. Because I literally wasn’t eating or drinking (to the point where I needed an IV of fluids because I was so dehydrated). And I’ve kept the weight off because my eating just isn’t the same as it used to be. My appetite has changed. I don’t eat as much as I used to, and I don’t eat the same things that I used to. (For some strange reason, bananas are no longer appealing. And I’ve had no desire to eat a bowl of ice cream which is really very un-Wendy-like). So when a good friend tells me I look thin, I know she says it out of love. She’s worried about me. She wants to make sure I’m eating and taking care of myself. But when an acquaintance, another parent at my son’s school, recently told me I lost so much weight, I didn’t know how to react. So I ignored it. But she leaned in, waiting for a reply; maybe she thought I had some sort of magic answer about how to achieve weight loss. Then, this comment (granted, it’s meant to be complimentary) just brings up more questions for me. I wonder — what did I look like before? Did I need to lose weight? Do I look “better” now? In an ideal world, people wouldn’t casually comment on one another’s weight. Unless I know a person is really working hard to lose weight, I never say a word. If I know weight loss is a goal, and I can see a difference, I’ll offer encouragement and support and praise. But otherwise, I remain quiet. Because there are too many variables as to why someone may gain or lose weight. Really, the numbers on the scale don’t matter to me. What matters is that I eat. That I want to eat. And that what I eat stays in. My son is a fourth-grader this year. He went back to school yesterday. We had an incredible summer, full of adventures, and laughter, and silliness, and learning. Because I don’t believe those things are mutually exclusive. I’m feeling a range of emotions about Ryan being a fourth-grader. For one, he’s a fourth-grader! As in, look how fast this is happening! And secondly, he’s a fourth-grader, and six of my twelve years as a teacher were spent teaching fourth grade. 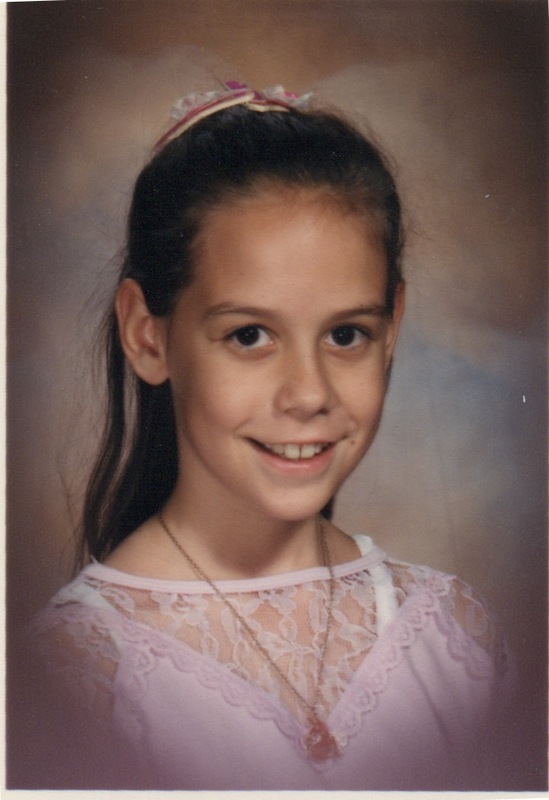 I didn’t like my fourth grade teacher. She scared me. She made me think that making mistakes was bad. She would hold up my papers and show the class the errors I had made. She used to have me wait in line at lunch time, to buy her a lunch at the student rate. (Even though I always brought a lunch from home). She gave me her home phone number and often asked me to call her and remind her of things to bring to class. And I never said no. 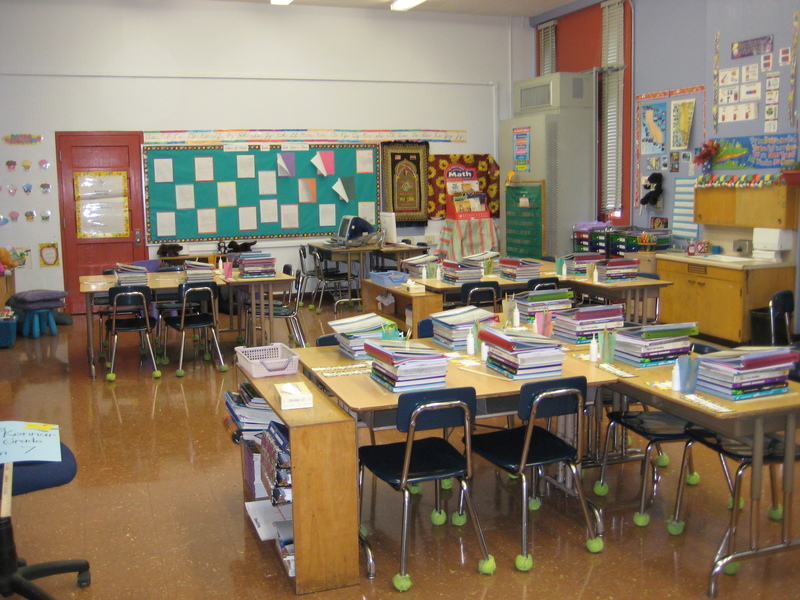 When I became a fourth grade teacher, I was nervous about the change in curriculum, the larger class size. But mostly I was scared of doing it wrong. And that’s what Mrs. E. did teach me — what not to do as a teacher. But now it’s Ryan’s turn. And after a summer spent exploring a presidential library and walking onboard Air Force One, after a summer of reading, and bike riding, after a summer of questions and wonderings, I wish for him a school year of adventures, and laughter, and silliness, and learning. More publication news! 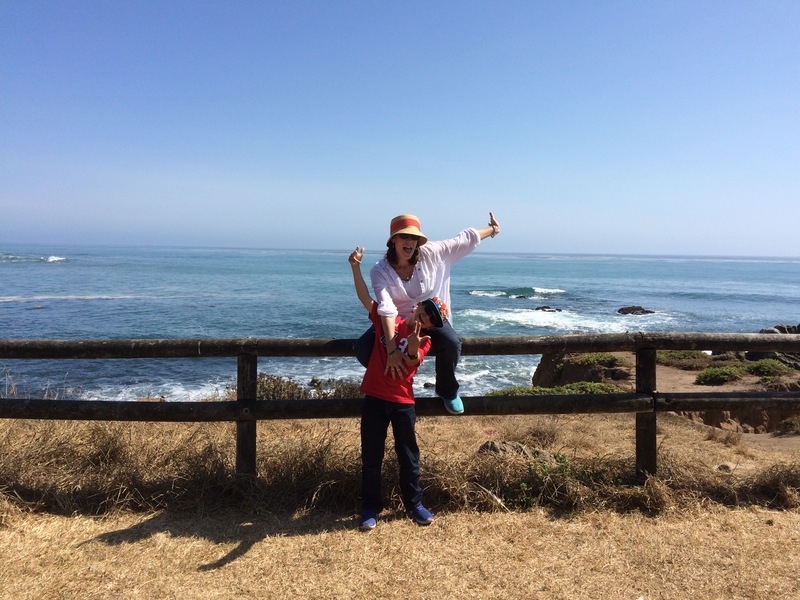 My personal essay, “My Son Is Already Becoming My Caretaker – And It’s Both Heartbreaking and Inspiring,” has recently been published at Mother.ly. You can click here to read it. We’ve got some big days coming up this month. Los Angeles Unified School District starts the new school year on August 15th! And the week after that, on August 21st, our whole country will be looking to the sky to witness the All-American Transcontinental Total Solar Eclipse. Here in Los Angeles, we won’t be able to view the total eclipse, but we’re still fortunate to catch a partial eclipse. 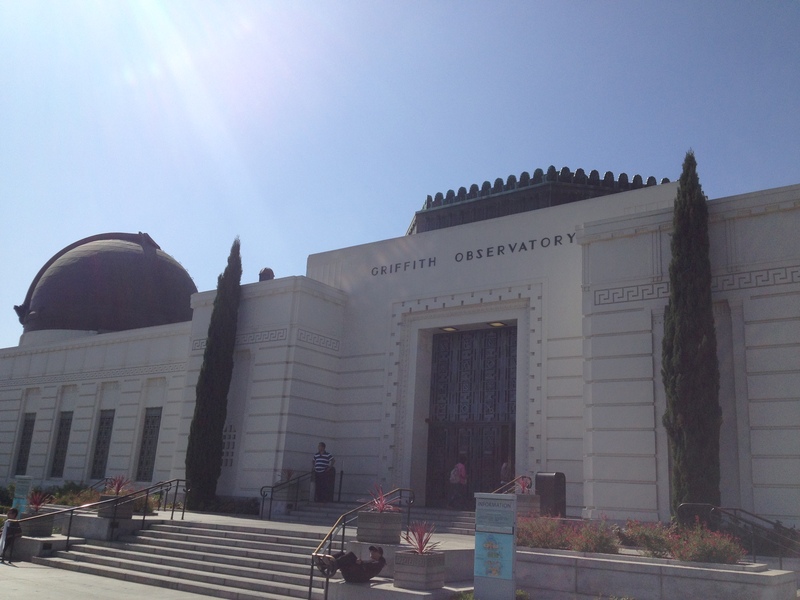 Click here to read my post “Everything You Need to Know About the Total Solar Eclipse” at MomsLA.com. The stores are in the middle of their back-to-school sales. My son is getting ready too; he’s selected a new lunch box and pencil pouch for the new school year. In two weeks, he’s returning to school as a fourth grader. And for six years, I was a fourth grade teacher. (I also spent five years teaching kindergarten and one year teaching fifth grade). And I miss it. I miss teaching. I miss being in a classroom with “my kids” and teaching them. Encouraging them. Loving them. If you click here, you can read my “love letter to teaching” at RoleReboot.org.